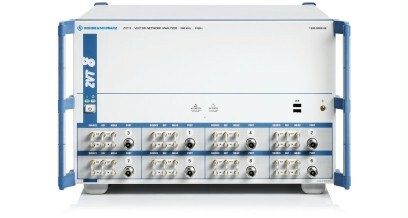 The R&S®ZVT8/R&S®ZVT20 from Rohde & Schwarz is the first true eight-port/six-port vector network analyzer with a frequency range from 300 kHz to 8 GHz/10 MHz to 20 GHz. 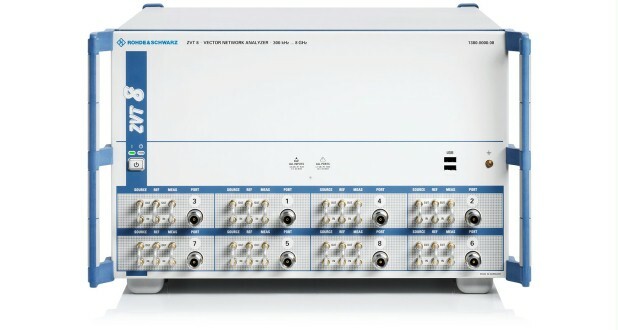 The R&S®ZVT8/R&S®ZVT20 from Rohde & Schwarz is the first true eight-port/six-port vector network analyzer with a frequency range from 300 kHz to 8 GHz/10 MHz to 20 GHz. The R&S®ZVT8 contains up to four internal generators and up to 16 receivers. The R&S®ZVT20 includes up to three internal generators and up to 12 receivers. This unique concept with one generator per two test ports makes the R&S®ZVT ideal for intermodulation measurements, even on mixers, (true) differential balanced measurements, multireceiver measurements with antennas or high throughput and efficiency in production.